There’s no doubt we have an obesity problem in this country. And from what I’ve seen of those suffering the battle of the bulge there’s either confusion as to how to lose weight or denial about their ‘healthy’ lifestyle patterns (‘I really didn’t just eat that fourth serve of take-away, did I?’). So the medical industry is pedaling fast on this bandwagon of weight loss and how to help those suffering from overweight or obesity. 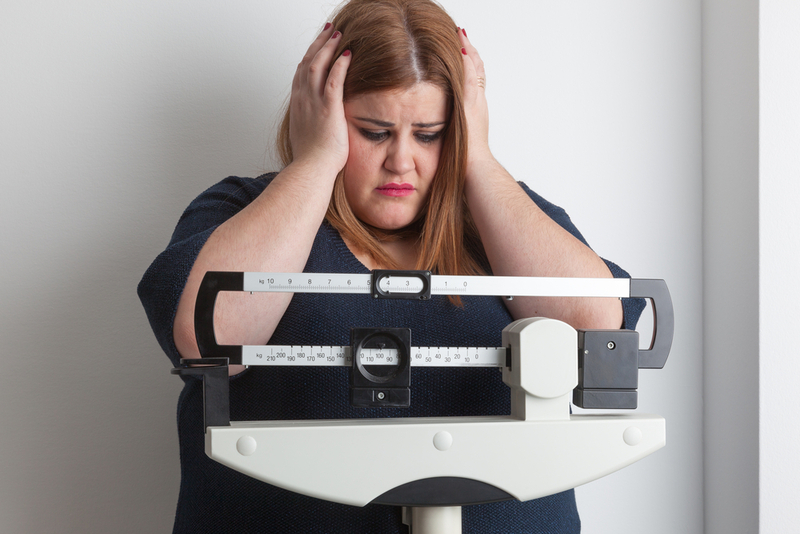 Overweight and obesity often comes with a plethora of other problems, such as Type 2 diabetes, although there are some experts out there arguing that perhaps something else goes wrong first and obesity is the result rather than the cause of health problems. International experts have now announced a more radical approach than the more conventional approach to beating Type 2 diabetes – weight loss surgery. Wow, that’s serious stuff. The recently published guidelines have announced that weight loss surgery could be the way to go when it comes to treating Type 2 diabetes and that weight, or rather BMI*, should not be the only other factor that helps determine whether a person is eligible for the surgery or not. Compared with previous guidelines for general practitioners, endocrinologists and diabetes specialists about the use of metabolic surgery, which only used BMI thresholds to select surgical candidates, the new recommendations take into account diabetic parameters to help determine how surgery candidates should be prioritised. You see, the thing is, we talk about weight a lot in society, and we need to. It’s a big problem (pardon the pun). But we also need to start talking more about the other silent killer, Type 2 diabetes. I’m seeing more and more people diagnosed with Type 2 diabetes with many of them taking a nonchalant approach to it. Most recently I have personally known an overweight lady in her 30s, with a history of very poor food choices and sedentary lifestyle (and yes, obese), be diagnosed with Type 2 diabetes. One of her plans of attack to keep her blood glucose in control was to ‘avoid corn because my doctor told me it’s very starchy’. Um, yes you are eating too much corn, that’s the problem. I also didn’t really see or hear any quiver of fear as to the seriousness of this condition. It’s almost like a ‘oh well, that’s life’ approach. Type 2 diabetes doesn’t necessarily kill you straight away and so it’s easy to ignore. It happily goes into the ‘too hard’ basket so let’s avoid it. Is she going to be a typical candidate for surgery? Look, I’m not a doctor, and I do believe that there are times for surgery. I’m eternally grateful that I live in a country with the opportunities that we have. I think it’s incredible that surgery could, according to the report, provide ‘postoperative improvements in metabolic control’ and that these improvements ‘occur rapidly and out of proportion to weight loss.’ That’s great. The thing is, they don’t yet completely understand the physiological and molecular mechanisms underlying these beneficial glycaemic effects. Even in the report they identify that it’s super important to clarify the ‘financial implications to patients, providers and insurers’. Beyond that, what about quality of life…do you think someone’s quality of life will quickly improve? Medically, I’d say yes. Not sure about the social and emotional side. That’s not for today. Just like the critics, and I don’t think of myself as a critic but rather a person who ‘asks questions’, I wonder whether these surgical options, which by the way would bind or remove a portion of the stomach or intestines, could be seen by patients (think about my obese lady example) as a quick fix. Could this in fact sabotage all our previous efforts to encourage lifestyle changes, such as healthy eating and exercise, to manage the condition? The report, that included 45 medical and scientific groups, including Australian experts, recommended surgery to be a standard treatment for obese Type 2 diabetes patients, with a BMI over 35 who are unable to control their blood glucose levels using other means. Well, when you put it that way, perhaps yes, this could be a good option. The experts are arguing that this quicker fix is going to save a huge financial burden on the healthcare system. By 2030 the number of people with diabetes worldwide is expected to climb to 472 million (according to the International Diabetes Federation). Staggering. The experts in favour of the surgery are arguing that Type 2 diabetes is not the individual’s fault and so should be given priority surgery to help fix the lifelong problem. I’m sure not all will agree with that, but we do know that whatever we are doing to prevent and treat Type 2 diabetes is not working for a lot of people, and perhaps we should continue to ask more questions, especially about the messages being sent out to the general public about what they can do to help themselves before they end up on the operating table. *BMI stands for Body Mass Index – this is the relationship between your height and weight and is not always an accurate indicator of your health status because it tells you nothing about body composition or body fat distribution. However it is still used to define obesity. ‘Exercise doesn’t help you lose weight’ is a current media message: Have we got it all wrong? February 5, 2016 Editor@thefitbusymum Comments Off on ‘Exercise doesn’t help you lose weight’ is a current media message: Have we got it all wrong?